Unisan Pro-Pac side-squeeze combo wringer/ bucket. Ultra-durable combo features a reliable, professional-grade design. Foam-grip handle increases wringer-use comfort. Swivel casters enable easy maneuverability. Yellow color. 8.75 gallon capacity. If you have any questions about this product by Unisan, contact us by completing and submitting the form below. If you are looking for a specif part number, please include it with your message. 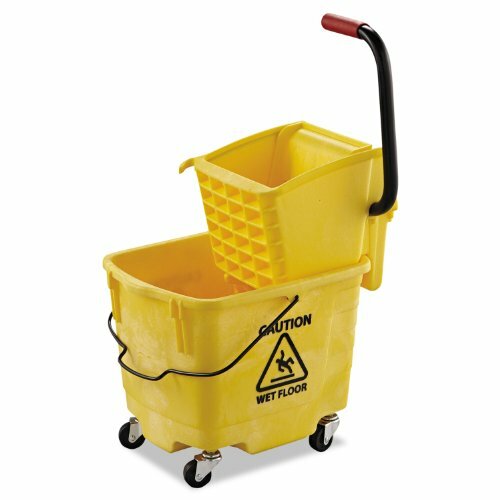 Mop Bucket Trolley On Wheels Bucket System Mop Bucket with Wringer Industrial Mop Cleaning Floor Mopping Janitor Mop Bucket Large & E book By Easy2Find.